How martial arts can help us become better riders. James Shaw shares how martial arts and riding benefit from free- flowing, powerful movement. When you think of martial arts, do you think of mixed-martial arts—kicking, punching, and using force to win the match—and wonder how they could ever relate to improving our horsemanship? Well, they probably can’t. But some traditional martial arts, such as Aikido, Tai Chi and BaQua, don’t oppose the incoming force of an opponent with force. Instead, they incorporate the ideas of blending with and redirecting energy and developing internal and external relaxation. 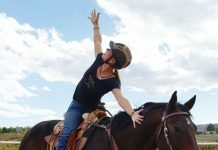 In addition, several foundational tenets of martial arts training—developing discipline, a quiet mind, awareness, and conscious breathing—align very well with becoming a better rider. The good news? We can access and practice these ideas off the horse and without joining a martial arts school (although finding the right dojo can provide many other benefits). To help us explore the benefits of martial arts for riders, horsemanship teachers, authors and martial artists Mark Rashid and James Shaw share a few ideas. Some martial arts are based on redirecting the energy of an opponent, rather than trying to neutralize it with force and strength. Aikido, for example, uses circular movements to blend with and harness this energy into the most harmonious outcome possible. Techniques are executed using the power of our center and hips, not muscle strength. In fact, the less muscle Aikido students use, the more effective they become. 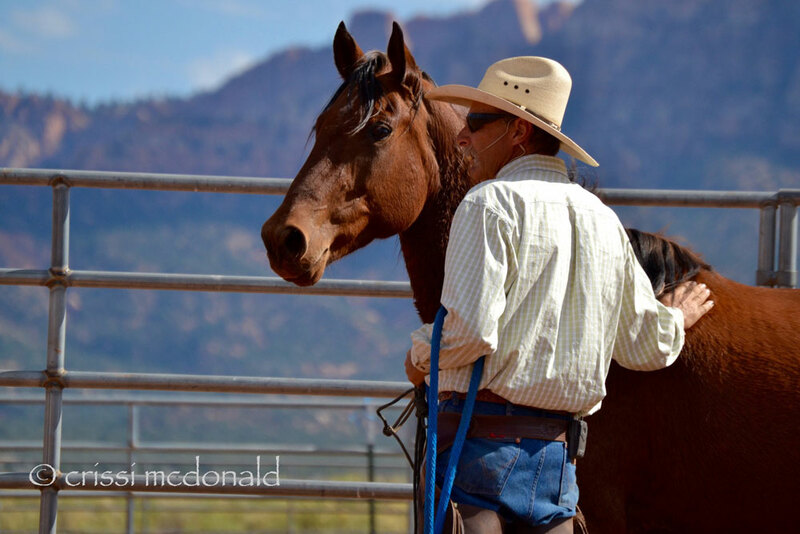 This concept is especially applicable to working with horses, since they are always bigger and stronger than we are, and can help build a relationship based on a soft connection and trust, not force and fear. One example of using this Aikido principle is when our horse is full of nervous energy. When we try to stop their energy by pulling on the reins or putting them into tight circles, it adds to their energy so they often become more nervous and frantic. Instead, we can help them settle by redirecting the energy in soft, looping circles or gentle changes of direction. “Whether it’s in the dojo or the dressage ring, training 30 minutes a day will take us much farther faster than longer sessions once a week,” says James Shaw, who started practicing Tai Chi and BaQua in 1993. 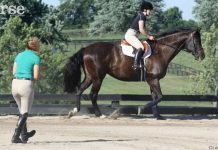 Through relationships with riders, he began sharing how martial arts and riding benefit from free-flowing, powerful movement. But once we have the basic muscle memory to perform a movement, simply going through the motions and practicing rote drills—even with consistency—won’t necessarily help us improve. If our cup is full—if our brain is so full of knowledge or if we hold on to a single “correct” way of doing something—it’s difficult to improve because there’s no room for new ideas or approaches. Keeping our mind quiet also helps us come to our practice humbly and with an open heart that’s receptive to learning. “As one of my teachers once said, ‘When you think you know, you are unteachable,’” says Shaw. Martial arts can help us develop both body awareness and mental awareness, vital to executing techniques as a rider and interacting with a training partner, whether horse or human. To develop body awareness, one key factor is tuning in to how we use muscle. 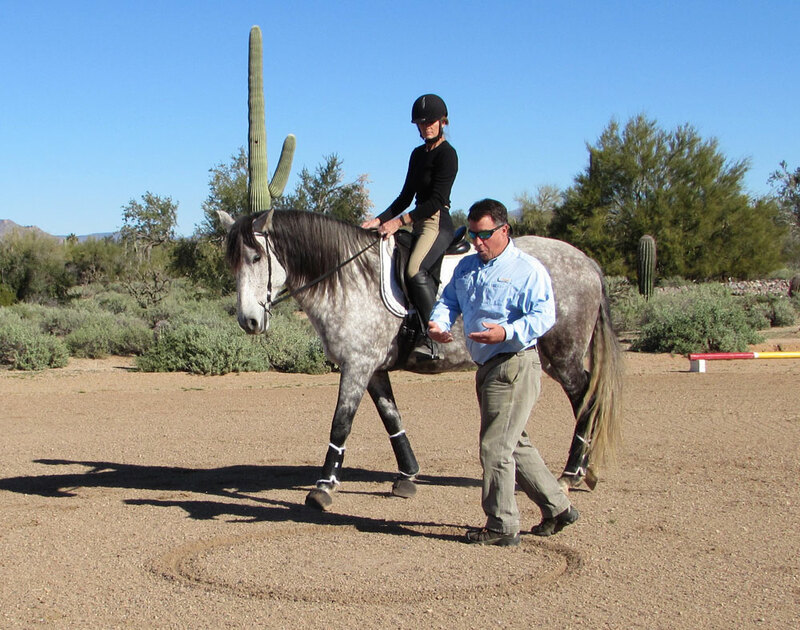 As riders, using more muscle than we need can lead to tightness, bracing in the stirrups, patterns of movement that hinder our horse’s natural athleticism, and pain and injury to horse and rider. Mental and emotional awareness help us see whether we’re bringing our best self to the world. “A key to riding and martial arts is our willingness to accept the truth of how we affect others,” says Shaw. For example, do our horses and fellow students enjoy training with us? Or are there subtle (or not-so-subtle) signs of avoidance and frustration? Also, what is our emotional state when we’re asking for a change or making a correction—with horses and humans? One way to find and build on a quiet mind, open-hearted presence and awareness is through developing the quality of our breathing. “As I tell my students, if you can do only one thing, develop your breathing,” says Rashid. Using breath consciously allows martial artists and riders to practice at a higher level of intensity for longer periods of time, while also maintaining calmness no matter what is happening around them. 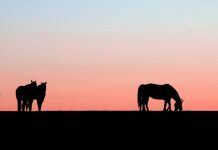 Horses also mirror our breathing and corresponding internal state, so we can affect the rhythm and quality of our horse’s gaits by developing the timing and rhythm of our breath. However, we may have developed poor breathing habits that we’re not even aware of (see “Breathing Practice,” below). “Daily life can bombard us with things that keep us in a chronic, low-level state of panic,” says Rashid. This can lead to developing the habit of survival breathing: taking shallow breaths in our upper chest. While this pattern may keep us alive (it’s part of the automatic parasympathetic nervous system), it doesn’t allow our body to reset to a place of calmness and let go of a stressful experience. Diaphragmatic breathing, on the other hand, is healing. Two keys to martial arts training that apply to horsemanship are misogi—the continued cleansing of spirit and clearing away of preconceptions—and kihaku, the strength of spirit to face any situation. By bringing attention to redirecting energy and developing discipline, open-mindedness, awareness, and conscious breathing to our daily lives, we can become the best students we can be, in the saddle and in the dojo of life. Start with 15 minutes of daily practice. Inhale through the nose. Exhale through the mouth. Imagine your lungs filling from the bottom up, rather from the top down. Allow your belly to expand as you inhale and contract as you exhale, easily and softly, without forcing. At the same time, notice and release thoughts that come into your mind, and return your focus to your breath. During the day, you’ll begin to notice more often when your breathing has become shallow. Gently come back to deep breathing. Over time, the quality of your breathing will improve and become your new normal state.